The Throne Bed is an exclusive to J'adore and fit for any King or Queen! It comes with your choice of up to four fabrics and features structured sides and an exquisitely soft center made of ultra-soft furry fleece, and a fiberfill insert. The cover is fully removable and washable. Our beds ship free if they are shipped out late. For more details, please visit our Shop Policies. An amazing product. I searched forever for the perfect dog bed....THIS IS IT! Light Pink Cat Bed or Dog Bed | Princess, Personalized, Embroidery - Luxurious Blanket Center - Washable! 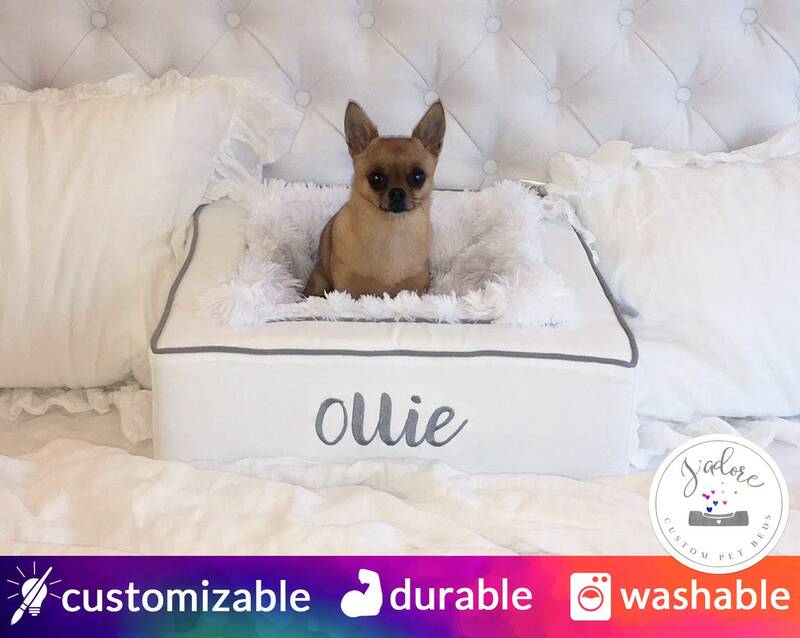 Black White Striped Dog Bed Personalized Name Embroidery | Bold Contrast | Washable Reversible High Quality - Ships Fast!